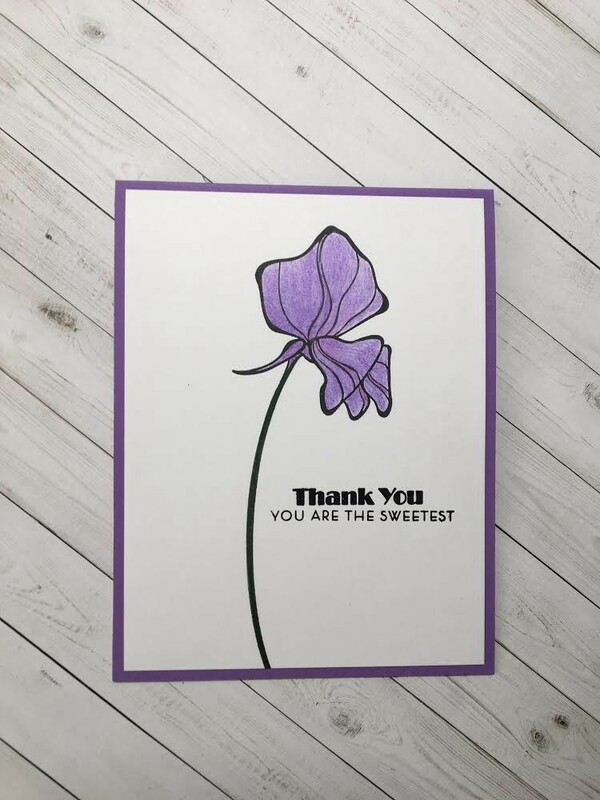 Thank you for all your gorgeous cards! 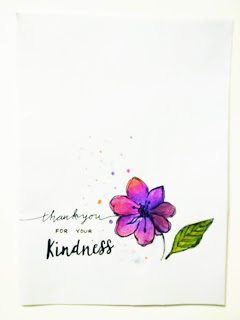 We're so thrilled that you took the Kindness theme to heart and filled our gallery with positivity. 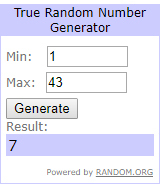 please contact Shery - sheryruss@gmail.com - by 1st December to claim your prize. 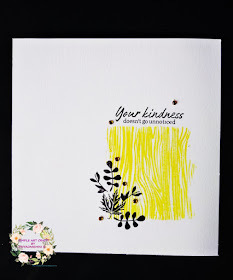 We loved the corner placement and simple colour scheme. 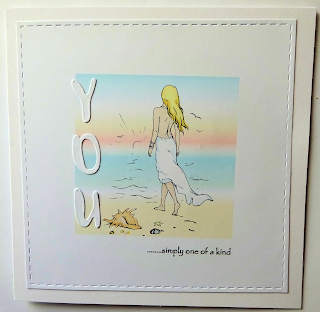 A truly wonderful CAS card with plenty of empty non patterned non textured white space.. 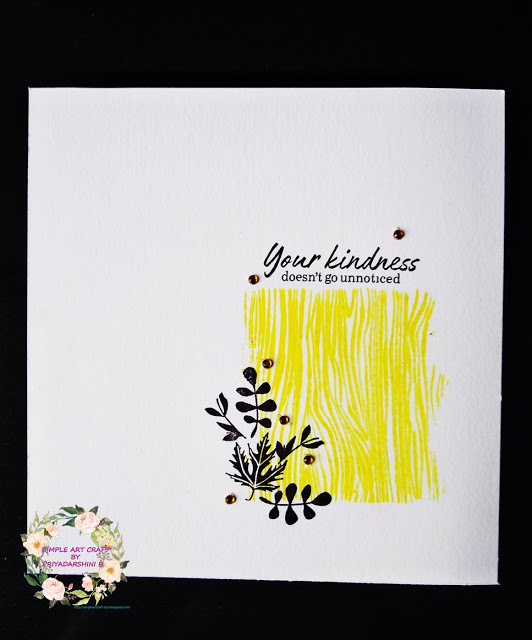 Using a strip across a card to place all the elements is another favourite way to keep your cards CAS. And such gorgeous colouring too! 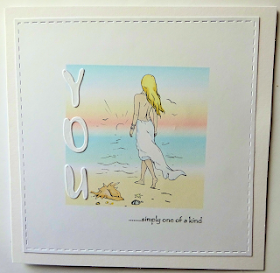 The simple colour scheme combined with the stunningly simplistic image was a definite winner in our CAS eyes. 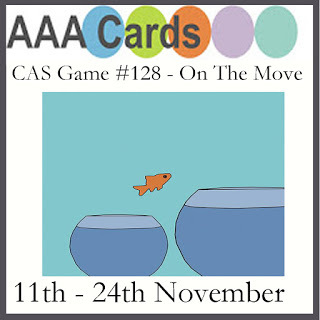 Our current Challenge #128 is On the Move and there is still plenty of time to get your entries in. 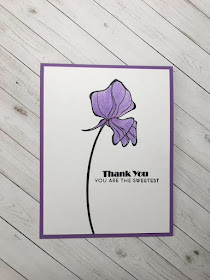 Thank you for choosing my card in Top 3 and many congratulations to other winners too. Many kind thanks, sorry I'd not picked up on this sooner.